Comfort & solitude to rejuvenate the heart. 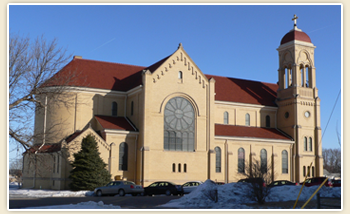 In addition to the beautiful convent and majestic St. Anthony's Church, the village of Steinauer boasts several other historic structures including the Steinauer Opera House, recently named to the National Register of Historic Places. The village park features a lighted basketball/tennis court, playground, and band shell. Excellent fishing, hunting and wildlife viewing opportunities abound in the immediate area. Burchard Lake State Wildlife Management Area, renowned for its superb fishing, also offers blinds for the wildlife enthusiast to view the "booming" of prairie chickens in spring. Several other wildlife management areas in Pawnee County are available for hunting. Two public golf courses are within an easy drive. Ten minutes away is Pawnee City, home of old-time film stars Harold Lloyd and Irish McCalla. It’s also home to an impressive museum complex with 19 buildings housing antique furnishings, period clothing, tools, vintage vehicles, rare photos and books, and other artifacts. Each fall, the Museum hosts a Civil War Reenactment. 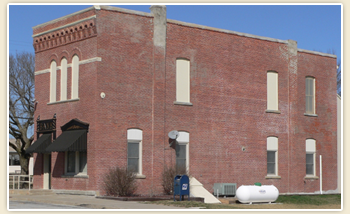 Visit the Pawnee County Historical Society website for more information. Also in Pawnee City is the Pedal Clinic, which features nearly 500 pedal cars, tractors, and other toys. 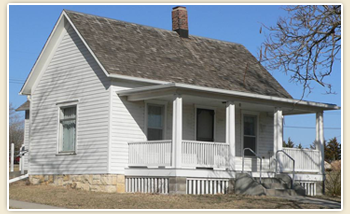 The restored Harold Lloyd home is located in Burchard, 12 miles west of Pawnee City. Your group can schedule a showing of a Harold Lloyd movie in the house he once called home. Once you satisfied your interest in things historical, you can visit the only winery and microbrewery combination in Nebraska. The SchillingBridge Winery is located on the edge of Pawnee City and offers Nebraska-produced wines and handcrafted microbrews amidst 8 acres of grapevines. Quilters and handcrafters will enjoy a visit to Heavenly Treasures in Pawnee City, a beautiful and unique quilting store. Housed in what was once a church, visitors can explore an amazing array of fabrics with light filtering through the original stained-glass windows.